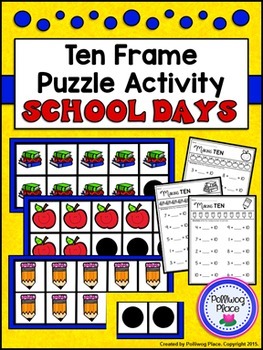 This Ten Frame Puzzle Activity contains 1 set of ten frame cards and 3 recording sheets. 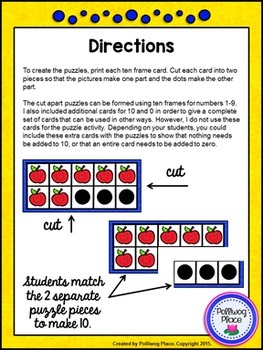 Simply print out the ten frame puzzle pages (3 ten frames per page) and cut apart. 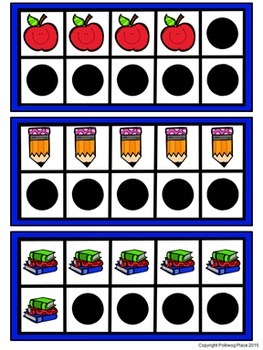 Students then match the side with the pictures to the corresponding dots to make ten. There are both color and black line puzzles to save ink. 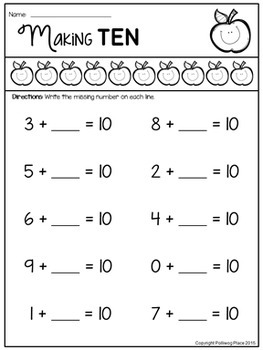 Add a pop of color by printing the black line version on colored paper. Print either version on heavy cardstock and laminate for durability. The recording sheets come in black lines only.